Watermelon by Buck Naked vape juice comes in a variety of nicotine strengths. I bought the Buck Naked watermelon. And I have to say it's the best watermelon flavor I've ever tried. Fast shipping and well packaged also. I had high hopes for this one. It didn't have much watermelon flavor at all. I was very disappointed. This is the ultimate watermelon flavor. It tastes great. 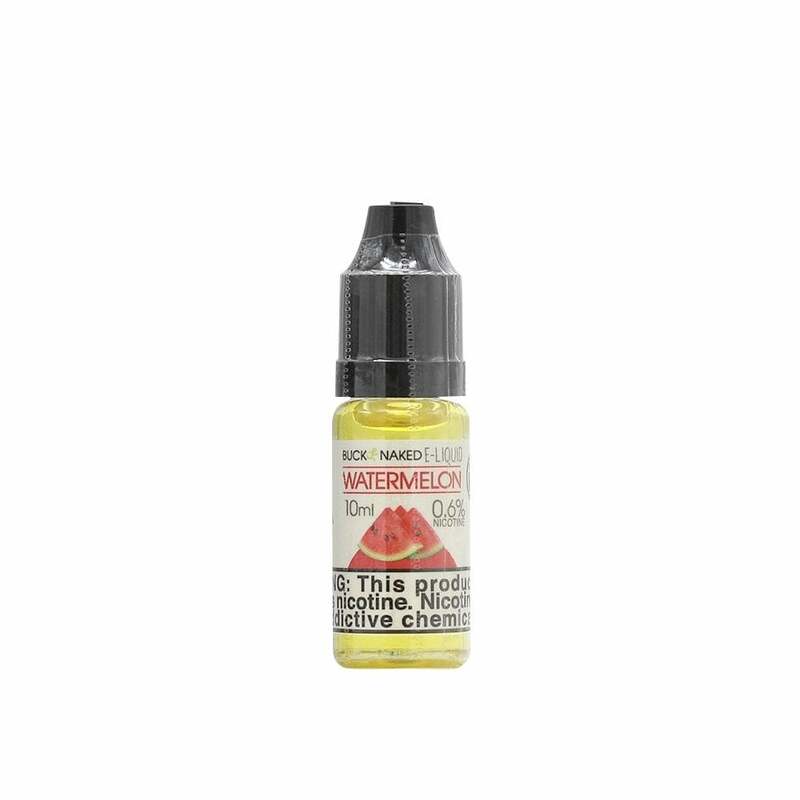 If you like watermelon, this is for you. As always, fast shipping. I already have two out of three left and I want more. Love it! Good watermelon flavor. Great price! I didn't like the aftertaste it left in my mouth. It had a weird flavor and did not really taste like watermelon. The price was great compared to some 10ml e-liquid bottles. I bought 3 so I mix them with other flavors. Tastes like a watermelon candy.